‘Phoebe’ is a beautiful double hellebore selected by Dan Hinkley formerly of Heronswood Nursery in Kingston, WA, as were most of the hellebores pictured here. They are all superior forms. It is the middle of the month and time to participate in Garden Blogger’s Bloom Day (“GBBD”) hosted by May Dreams Gardens (link available on February 15) where gardeners from all over the world publish photos of what’s blooming in their gardens. I participate because it is fun and educational for me to identify what plants make my gardens shine at different times of the year. 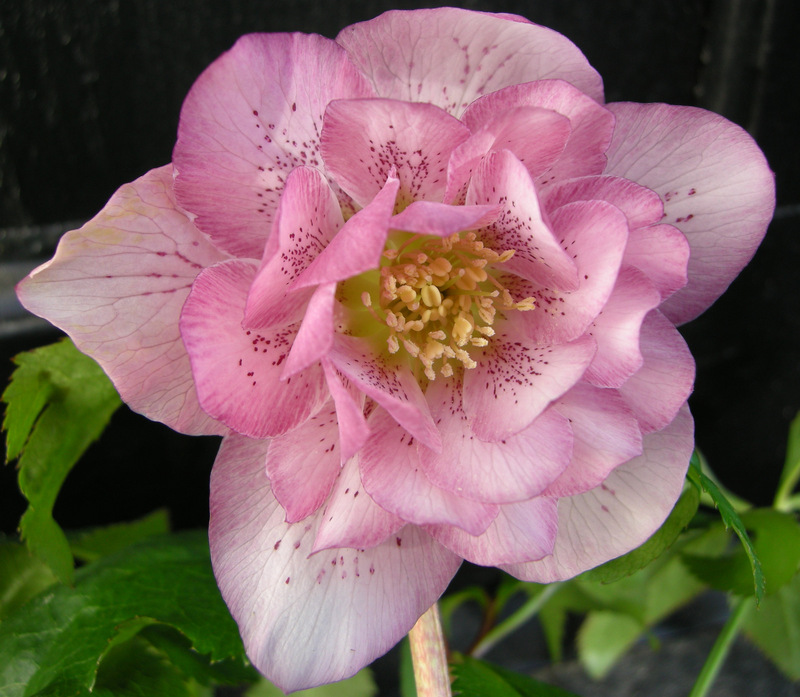 This month I hope that my nursery customers and blog readers will get excited about adding colorful hellebores to their own shade gardens to extend the garden season through winter. My garden is located in Bryn Mawr (outside Philadelphia), Pennsylvania, U.S., in zone 7A (old 6B). 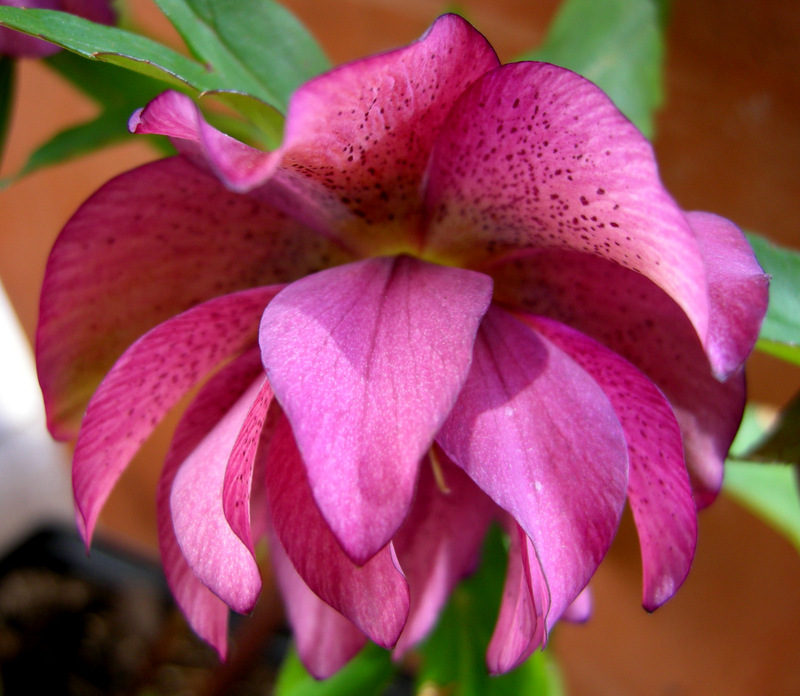 I grow the double ‘Elegance White’ for its distinct reddish purple spots and its symmetrical pointed leaves. Because of the mild weather, I am overwhelmed with work at my nursery and behind on blogging. 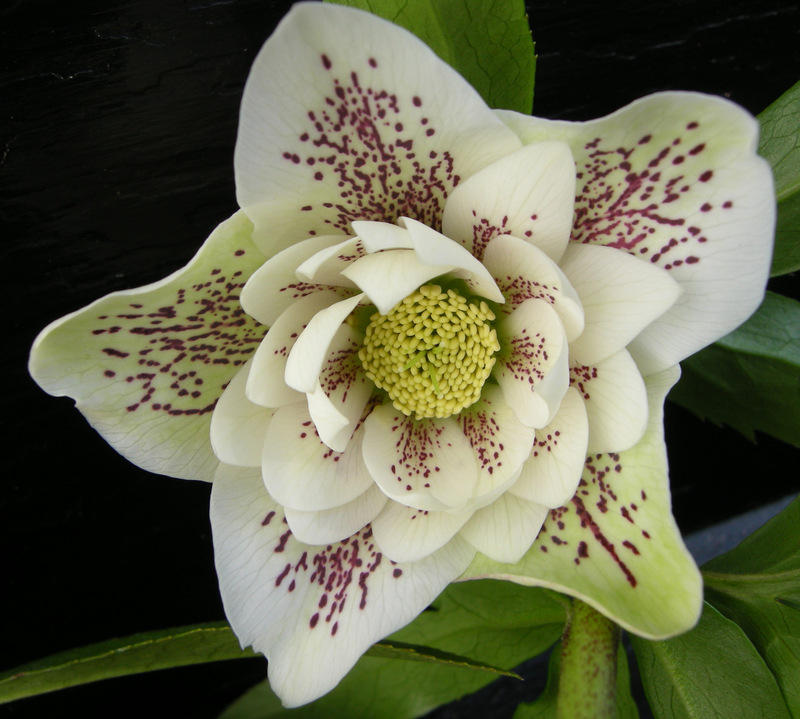 So I am combining my GBBD post with a post on all the gorgeous new hybrid hellebores I will be offering this spring at my snowdrop and hellebore seminars and at my Hellebore Extravaganza on March 24. They are coming into bloom right now so they definitely qualify for GBBD. 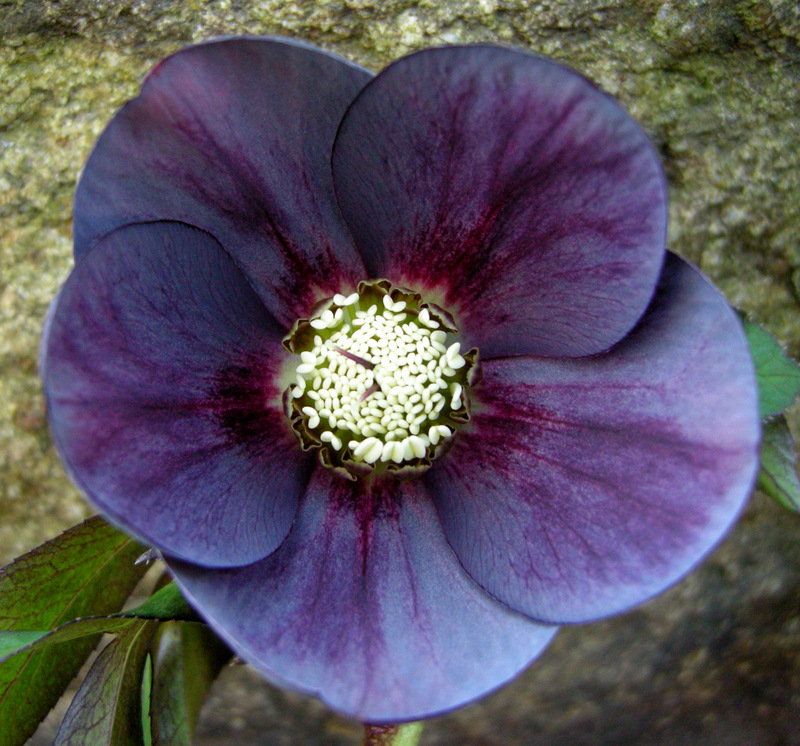 I will save the new species hellebores for a later post. 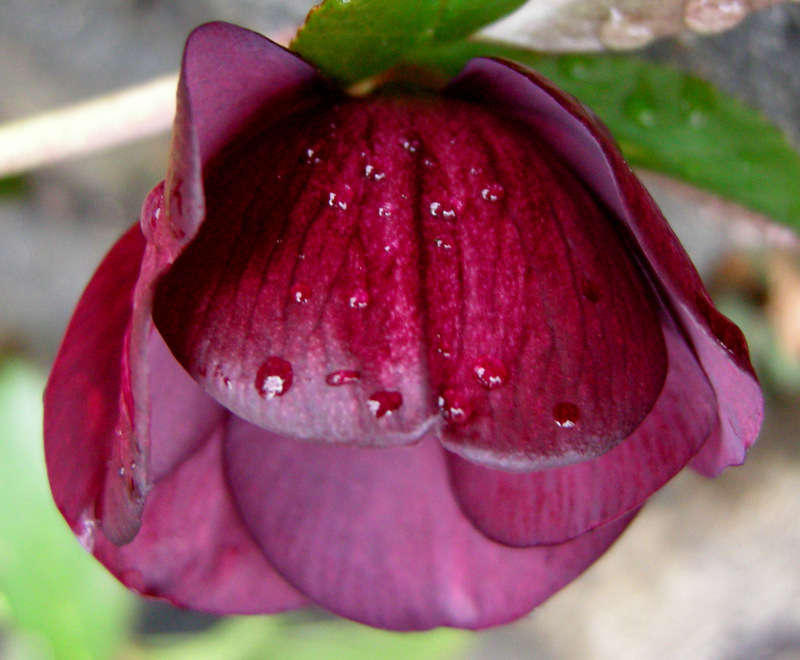 The ruffle in the middle of this anemone-flowered hellebore picks up the beautiful colors of the larger petals (actually sepals). 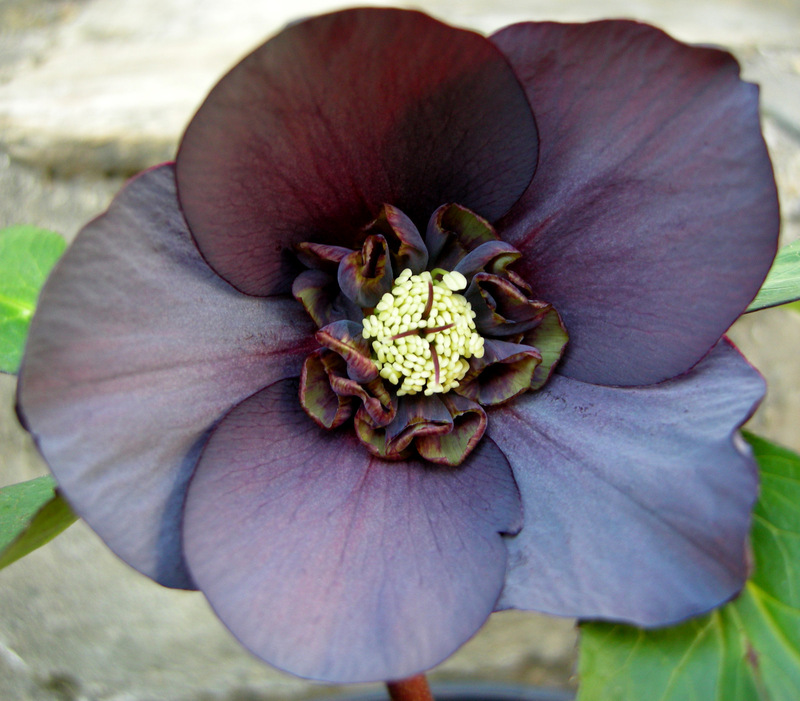 Slate is also a very desirable hellebore color, and ‘Slate Anemone’ is similar to ‘Starling’, another Hinkley-selected hellebore. ‘Gold Finch’ has rounded petals of buttery yellow spotted with red flecks. 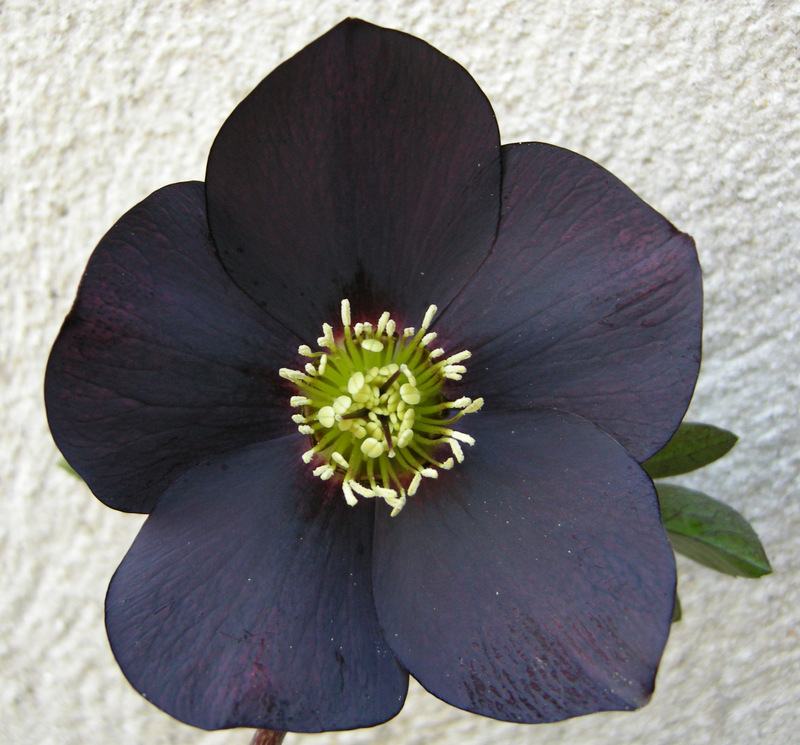 ‘Black’ has striking near black flowers with a perfect rounded shape. ‘Pink Tea Cup’ is early-blooming with soft blush pink flowers reminiscent of cherry blossoms. ‘Raspberry Mousse’ has two-tone pale rose flowers with creamy white veins, and dark rose edges and reverse (the back of the flower). ‘Phoenix’ has apple green flowers edged in burgundy and with a burgundy center. Slate gray petals with a metallic sheen and burgundy highlights in the center and veins make ‘Slate’ very desirable. ‘Painted Bunting’ has white flowers with a bold burgundy red central star, radiating red veins, and red picotee edges. ‘Velvet Lips’ has bright wine-red flowers with a soft creamy-yellow center and a shiny darker reverse. 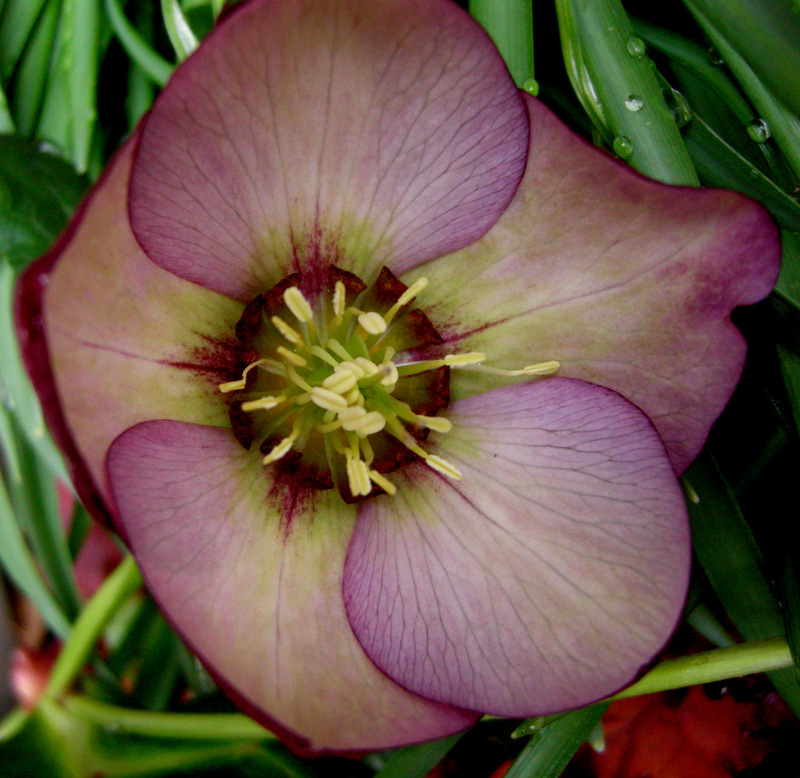 I would buy this beautiful hellebore for the name alone. 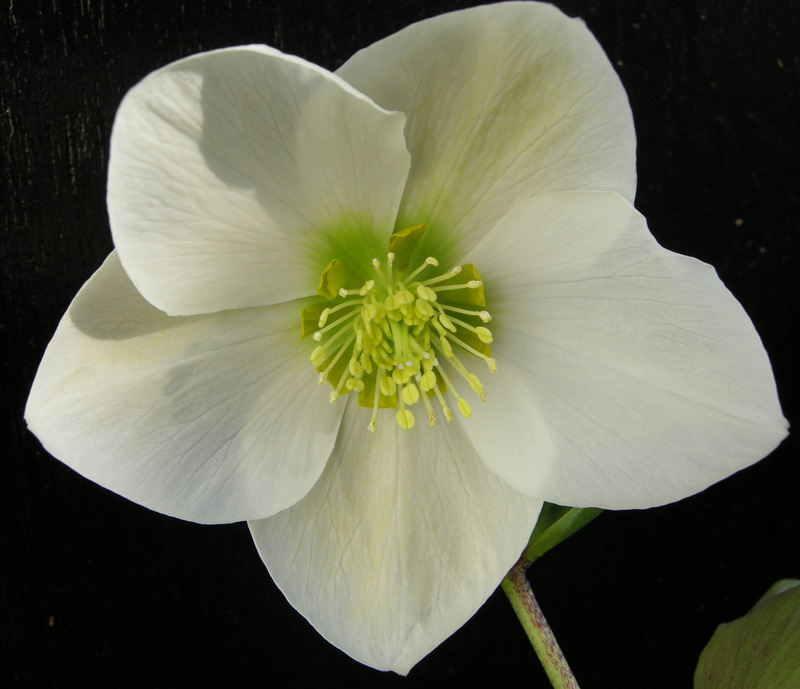 The Yokoyama nursery in Japan has achieved the first ever cross between Christmas rose and hybrid hellebores to produce ‘Snow White’, this gorgeous early-blooming pure white hellebore with large, flat, outward-facing flowers; easy to grow like all the hybrids but easy to see the flowers too! 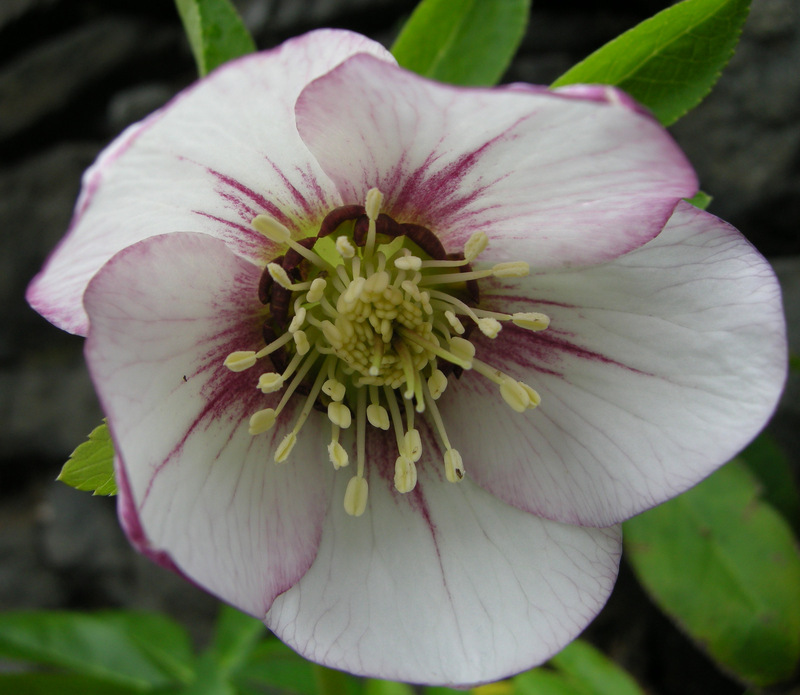 I tested all these hellebores in Spring 2011 by planting them in my garden. This year I am being rewarded with big healthy plants loaded with flowers. Stop by and see for yourself after I open on March 15. 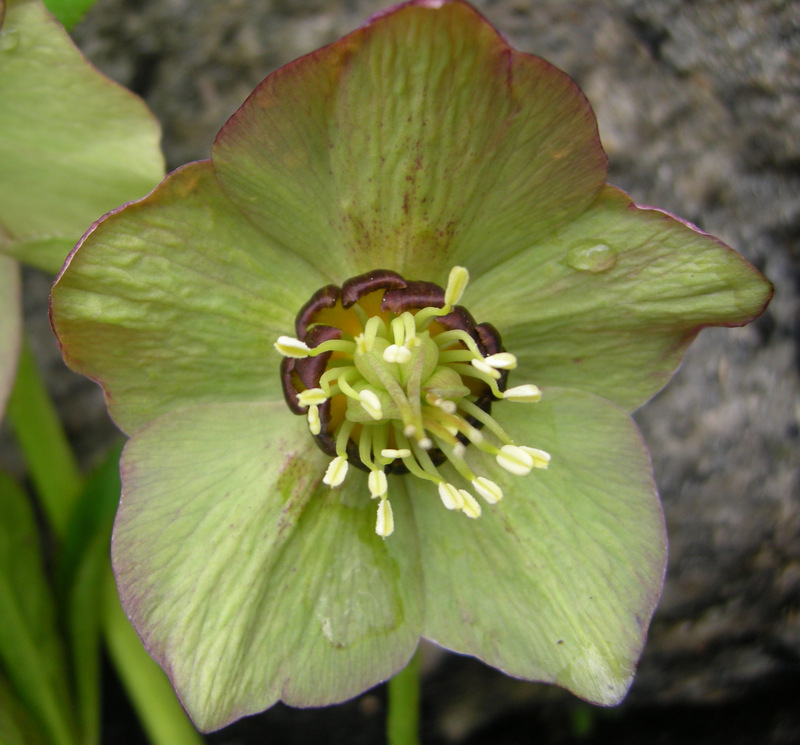 Nursery Happenings: The 2012 Hellebore Seminars are now available for registration. To view the brochure, click here. To view the 2012 Snowdrop Catalogue, click here. I am currently accepting orders—snowdrops are available mail order. 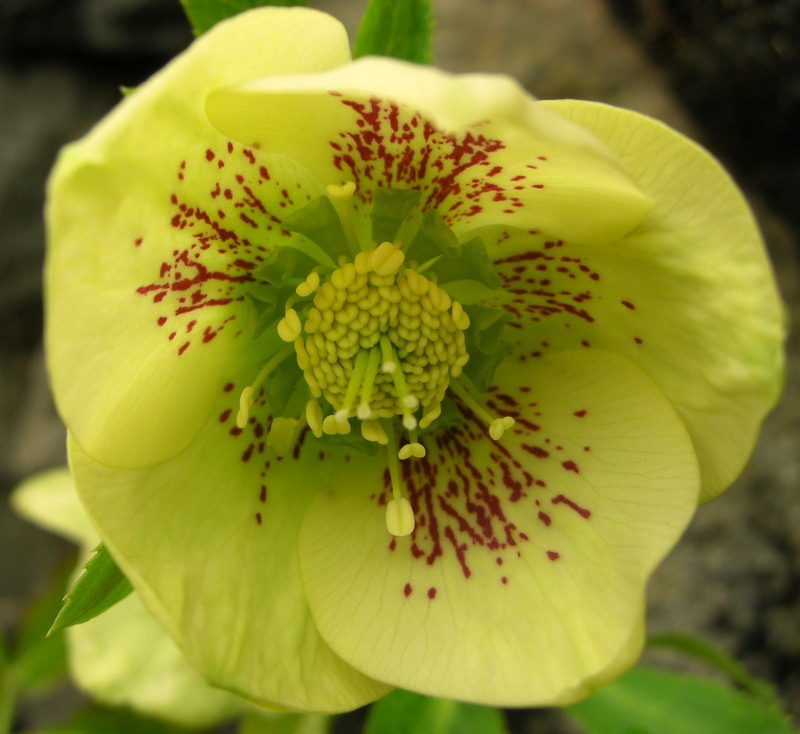 This post is part one of my exciting new hellebore offering.